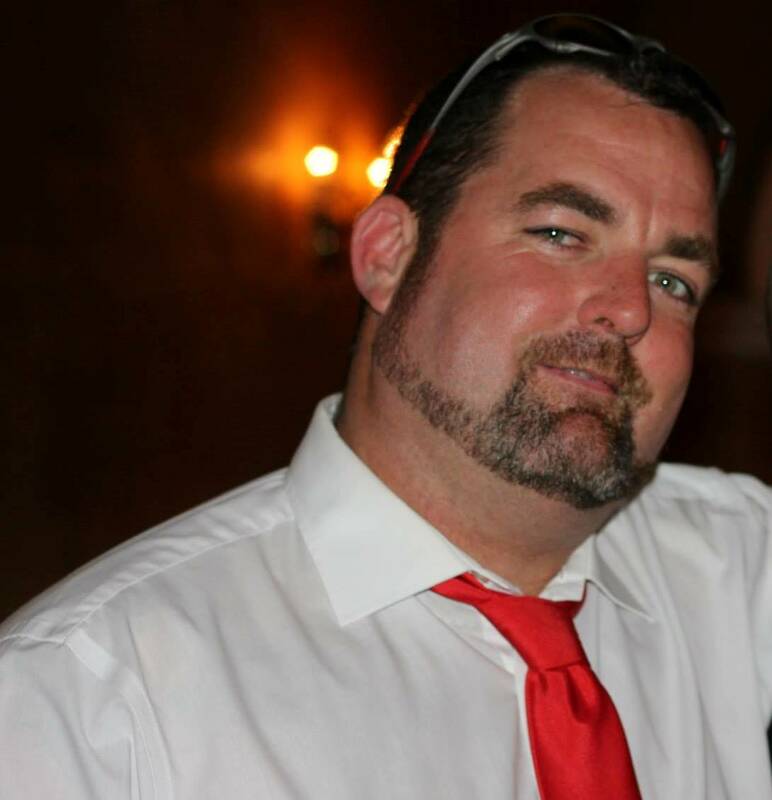 Please do get in contact with us and let us assist you with any questions that you might have regarding boat availablility, activities or corporate events. 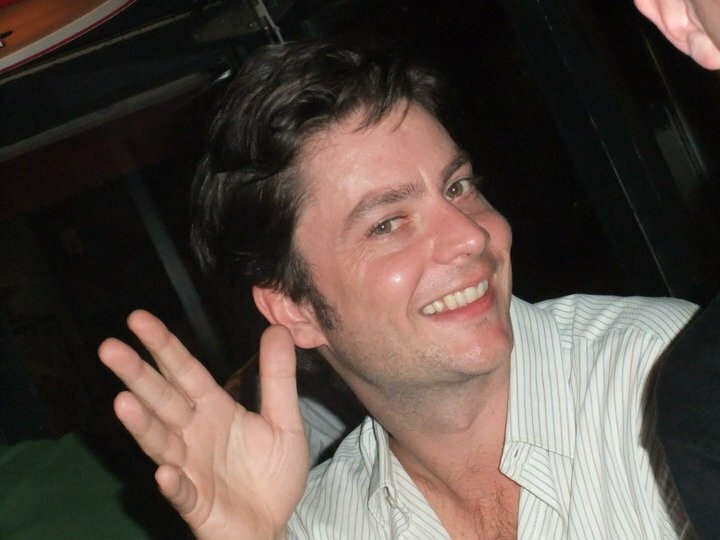 Thai Charters is regulated by the Tourism Authority of Thailand. Licence number 13/02025. As a responsible provider we adhere to the strictest international marine safety standards as well as TAT insurance requirements for guests, guides and staff. ThaiCharters.com ThaiCharter.com are registered trademarks of Pattaya Boat Charter. The largest super yacht for Charter in Pattaya, Horus is a magnificent yacht of grand proportions. Suitable for groups up to 20pax for day charters and 8pax for overnight. Golden boy is a 2 year old Super Yacht right here in Pattaya. She is by far the most luxurious yacht available for charter in Pattaya. Her interior is nothing short of what you would find in a high end chic hotel. 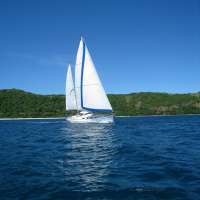 My Shangri La is a Lagoon 38 foot sailing catamaran available for bareboat weekly charters in Koh Chang. Accommodation for 8 guests in 4 double cabins make her ideal for 2 families. 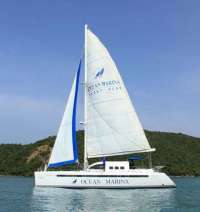 Island Spirit is a newly constructed sailing catamaran available for private charter in Koh Chang and Pattaya. Available on a bareboat basis. This stylish Flybridge can accommodate 14 day guests or 6 for multi-night charters. 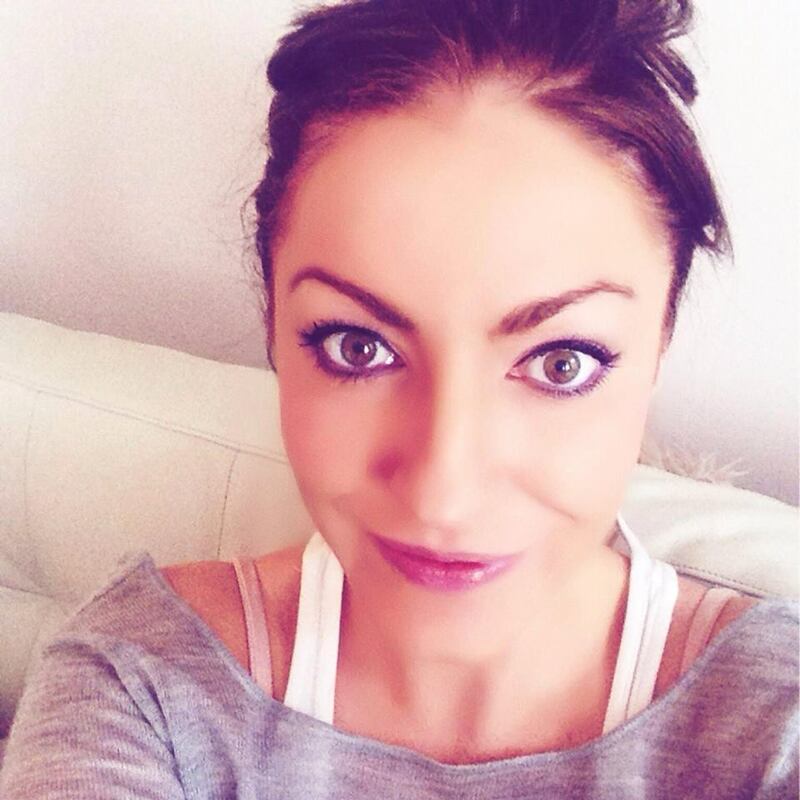 She has a tastefully appointed interior, and plenty of outside spce. Italian styled Azimut 50 Flybridge, this is the perfect boat for day trips and multi-night cruising. She offers plenty of space for groups of up to 14 guests (6 Overnight). 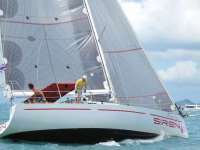 Sailing Yacht Grace of rockfleet, available for weekly bareboat charter in Koh Chang. 3 En-suite cabins provide sleeping quarters for 6. This Princess V45 is one of the newest boats to the Samui boat charter scene, accommodating 12 guests for day cruises and 6 for over night charters. Alida is a 48 foot Princess motor-cruiser, recently refurbished she has a bright and spacious interior. Perfect day trip bot for groups of 10 passengers. Enjoy Pattaya's far islands in true style. Patricia is a 37 ft Silverton, kitted out with the Japanese fishing equipment. 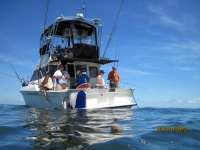 Her captain has 15years experience fishing the local waters and is your best chance for great fishing. This 27 foot Cobalt is the perfect boat for a small family to enjoy island hoping around the waters of Phuket. Fitted out to very high standards she offers plenty of space to relax as you cruise the islands. The perfect little entry level charter boat, she is ideal for 4/5 guests to go Island hoping around the area. SV Tropic dream offers skippered charters in Koh Chang and Koh Samui, available from 24hrs to week long charters. 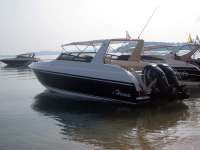 Hannah, brand new luxury speed boat in Samui, available for private boat charter. Cruise the stunning Angthong National Marine Park in absolute luxury. Taurus is a luxury speedboat, fitted out to an extremely high standard. Being a bowrider she has a lot of space on board and with full leather seating she makes for a very comfortable ride. Hip Horizons is a Fairline taga 52, this spcaious motor yacht is capable of carrying up to 10 guests in pure luxury. With fully air-condtitioned lounge and staterooms. Spacious deck space for soaking up the rays. Popular Boat! Mahi Mahi is a 56 foot Flybridge riviera style Motor-cruiser available for Charter in Samui. Whether you want fishing, relaxing or a cruise around the islands this is the boat for you. Also available for private parties. Escape is more like a plush Ibiza lounge bar than a yacht. 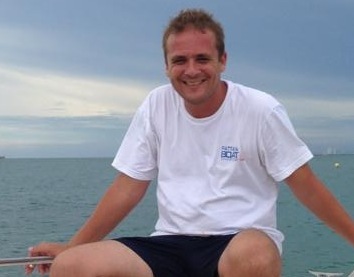 Escape is available for private boat charter in Samui thailand for private and corporate functions. 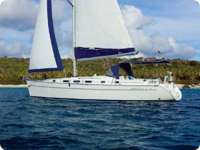 45 foot Sailing Catamaran Nautiness available for private boat charter in Samui. Spacious comfy interior can accommodate 12 guest on day cruises, or 6 for overnight cruises. Catalina 375 for bareboat charter in Koh chang, this magnificent yacht can sleep 4 guests across 2 cabins. 98 Foot Super Yacht Makarena, is one of Thailand's most luxurious yachts. Available for day and multi day charters in and around the Phuket area.